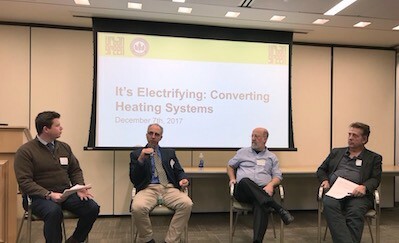 On December 7, we featured three top practitioners of efficient, affordable building improvements at It's Electrifying: Converting Heating Systems, our second panel on how New York could electrify its buildings. Read the recap on our blog for event highlights, including challenges the city might face and emerging technologies that could help us to overcome them. Join us on February 6 at our next event in this series, The Future of Domestic Hot Water, as we continue to examine the potential impact of electrification with building experts. Urban Green and NYSERDA are collaborating on research to identify and solve the problems that steam may pose for occupants—like causing New Yorkers to lose sleep (and productivity). 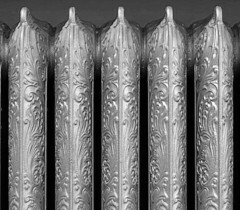 If you lived (or have ever lived) in a steam heat building, we invite you to participate in a short, 1-2 minute survey to share your experience. Not sure if your building has steam heat? Click here to find out! In the mood for some green building trivia? 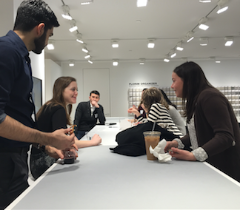 On January 25, join Urban Green's Emerging Professionals at Stone Creek Bar in Kips Bay for a chance to test your sustainability knowledge against peers in the industry. NAPHN’s Certified Passive House Designer/Consultant course is designed for architects, MEP and structural engineers, builders and construction managers who work in the design and construction of new and retrofitted Passive House buildings. With 5 days of in-class instruction, and additional e-learning modules that can be completed at one’s own pace, participants will get a thorough grounding in the critical aspects of Passive House design and construction. What is a healthy building? What does designing and building a healthy environment mean? Through engaging presentations, case studies and interactive exercises, participants will develop a robust understanding of how the built environment affects health. Join Living Future to learn how healthy materials, community building and biophilic design can be used comprehensively to create enriching environments. Hosted by AIA NY, this event brings together NYC Department of Transportation Commissioner Polly Trottenberg and NYC Department of City Planning Executive Director Purnima Kapur to discuss how their departments' plans to manage growth, density, affordability and transportation relate to one another.